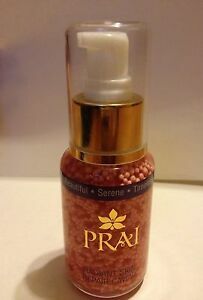 PRAI Radiant Precious Oil Drops 1 fl. oz. PRAI Pink Diamond Eye Creme .6 fl. oz. Native to the jungles of central Thailand, the smoothing properties of this botanical has been combined with the latest breakthroughs in anti-aging to provide powerful benefits. ABOUT PRAI RADIANT SKIN REPAIR CAVIAR.